THIS ARTICLE WAS REVISED on 6-21-16 with more complete info on the table attached. You may not be aware, but there are several Home Performance standards currently available to the public. We have put together a table that compares the different diagnostics tests that each standard calls for. THIS PAGE IS A WORK IN PROGRESS – CHECK BACK FOR UPDATES. Deliver the tests that builders need to meet IECC codes for air infiltration and duct leakage. Earning the IDL certification is a simple, comprehensive and affordable way for technicians of builders, remodelers, HVAC and insulation contractors to gain skills needed to offer duct leakage and blower door tests, in compliance with IECC codes for new home construction or existing home remodels. Passing the exam (field exam only) verifies you can conduct duct leakage and blower door tests to the ASTM E1554-07 standard. Begin with this affordable, single measure credential and work your way up to BPI’s “house-as-a-system” certifications using real-time field experience. Contact any BPI Test Center for the hands-on training you may need to prepare for BPI’s IDL field exam. Retrotec DM2A Systems On Sale Now, But Hurry! ($45 to any of the lower 48 United States)! Finally, the quality and features you want at a price you can afford. With a .75 horsepower Model US-1000 Fan, capable of up to 6300 CFM, the 1000 system is more than capable of testing both air leakages in both residential and small commercial structures. The brand new shell design includes a 10 year warranty. With flat rate shipping ($25 to any of the lower 48 United States)! 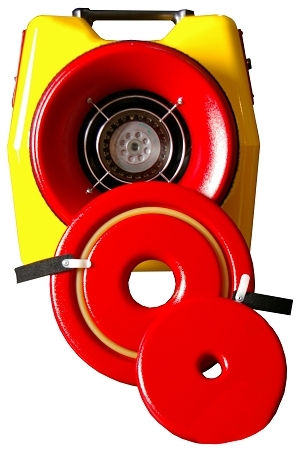 The Retrotec DucTester is designed specifically to measure residential duct leakage. It is used to locate duct leaks and to measure the results of duct sealing. Use this model to verify duct leakage for compliance with codes such as Title 24 in California. 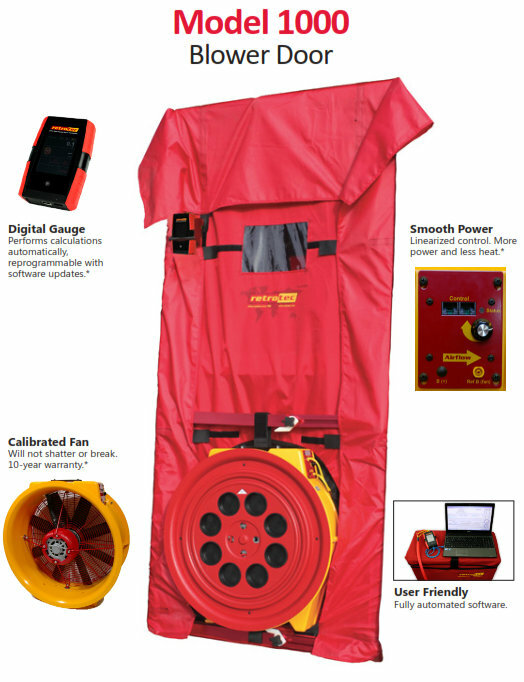 The DucTester can also be used in conjunction with a blower door to neutralize duct leaks to indoors so that only duct leakage to outdoors is measured. JUST HOW DURABLE IS THE US1000! A multifamily building project costs tens of millions of dollars and dozens of professionals- and it can still be a very messy process! Learn about the typical mistakes in large residential buildings, and how they are solved, through a case study of an 80-unit building project in Illinois- the first in the state to go through ENERGY STAR Multifamily High Rise Certification! Take a tour of the building of an ENERGY STAR Multifamily High Rise, from beginning to end. Learn to avoid the pitfalls of a huge, expensive, richly staffed project. Understand the ESTAR process and its impact to comfort, air quality, durability, and energy efficiency. Corbett founded the Green Dream Group’s Building Performance Workshop (a BPI Testing Center) and hosts the Building Performance Podcast. He authored Home Performance Diagnostics: the Guide to Advanced Testing, developed the curriculum for the Chicago Southland EPA Brownfields Job Training Program and performed hundreds of comprehensive home performance analyses. 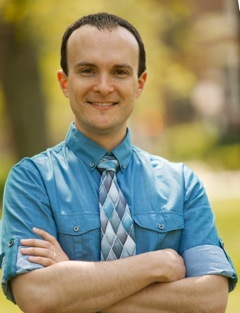 Corbett is Executive Director of the Illinois Association of Energy Raters and Home Performance Professionals. BPI is forwarding the information above as a courtesy to industry contacts who may find the event to be of interest. Visit BPI’s Green Jobs Connection Page! Check out our list of BPI certified professionals seeking employment. For more information on BPI, visit www.bpi.org.